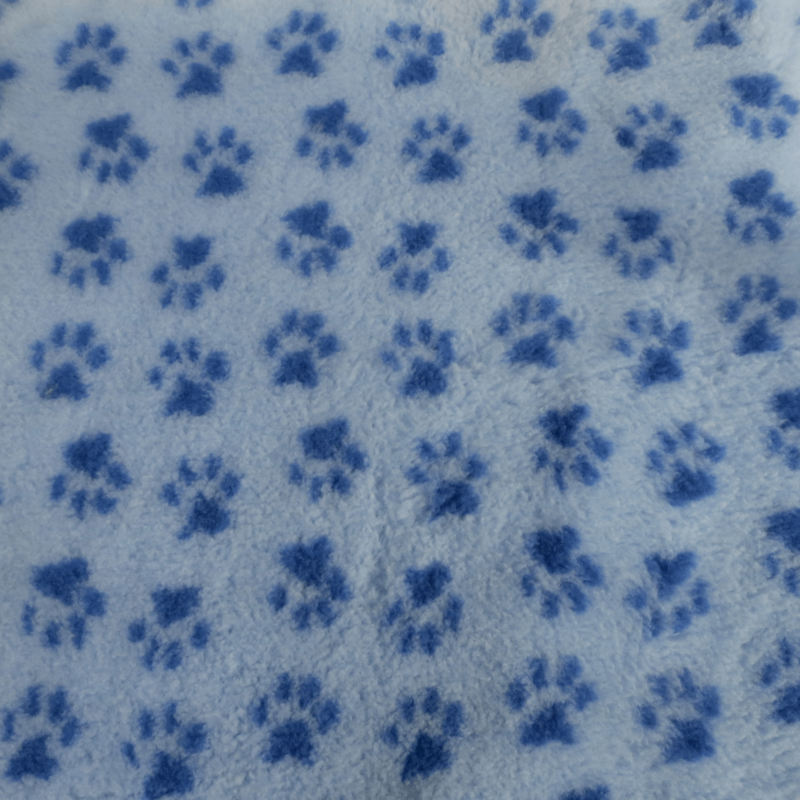 Blue paw design on Blue background. Luxury Cat and Dog Bedding with non-slip ribbed backing. The best quality pet bedding in Europe. Originally developed for use in hospitals, Petbed was introduced over 15 years ago to professionals in the veterinary trade, kennels, and catteries. For cats and dogs of all ages. Deep pile for heat retention. Drains and dries fast to keep your pets warm and dry even after little accidents. 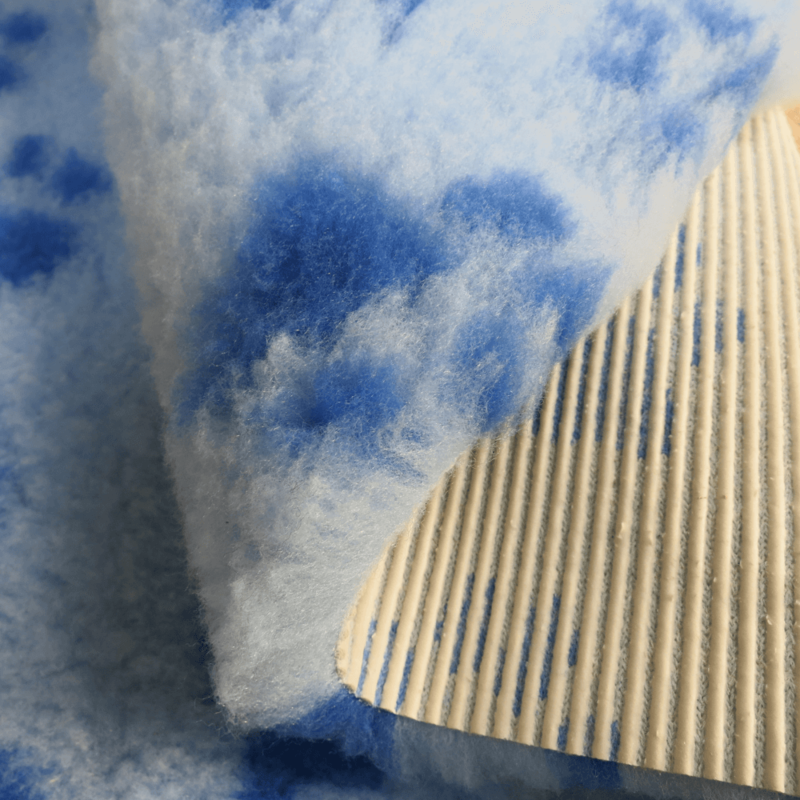 Hygienic, non irritant and non-allergic materials. Woven backing gives it tremendous strength making it harder to chew. Can be machine washed many times at 40°C, or Jet-wash it outside. Quick drying - Tumble dry or drip dry. Recommended and used by vets, breeders, catteries and kennels across Europe. Easy to cut to size as required. Ideal for use in cars, pet baskets, on windowsills, or on polished wood and tiled floors. Designed for whelping dogs and kittening cats. Kalven Design © All rights reserved.